LEICA has updated its premium compact camera, the D-Lux 5, with a new special limited edition model, the D-Lux 5 Titanium. The D-Lux 5 Titanium is not really made of solid titanium but is instead titanium anodised to give the camera a more elegant-looking finish. 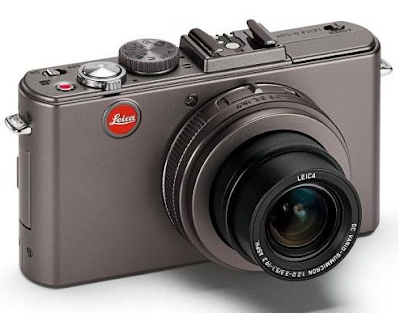 The feature set is the same as before - it has a 10-megapixel image sensor with a Leica Summicron 24-90mm equivalent lens, 3in (460k-dot) LCD and the ability to shoot 720p AVCHD Lite or Motion JPEG format videos. All the niceties of a modern compact ­camera are also present, including face detect autofocus and autofocus tracking to keep your subjects in focus, along with the usual exposure modes including program, aperture priority, shutter priority and full manual. The D-Lux 5 also supports recording images in Adobe's DNG raw format for the best ­possible quality, in addition to the usual JPEG format files.